Security, whether of data or business, is important for every company. With the passage of time, the security of data has become more crucial due to the increasing number of hacking attempts and attacks. Many big companies have suffered huge losses and backlash after they could not protect the user data. Yahoo and Facebook are the two examples in this series. In this post, we will talk about how companies can improve their cybersecurity to protect the important data as well as which apps companies can use in this regard to take the security to great strength. We hope this guide will prove useful for the readers who have been working for tips and solutions for improving company security. This is the first step in the right direction to improve small business security. The employees of companies should be trained, they should know about cybersecurity and what kind of threats the data is exposed to. They should be educated to practice safe things and follow the company policies and rules when it comes to data protection and securing sensitive details. When this will become a norm, the company will be known for its no-compromise policy on data protection. The next important thing in this regard is to update the devices, computers, and laptops. Companies retain old devices and computers for years and even decades. But they should know the old devices use old software and they are more prone to hacking. Hackers can easily get into your computers if you have not updated computers and use the latest and secure software. This needs some investment but can be done gradually and slowly, no need to buy everyone the best computers. Data can be stolen from companies and within offices. Many employees also do such things when they leak important information. They can also destroy important financial records that will cost you millions in the loss. So for this and many other reasons, the companies should create data backups. Using cloud services to store huge data is a pleasant and reliable option because such services and cloud options are safer than any other option. There should be a limit on access to sensitive and important data. Only relevant employees and trusted people should know about the sensitive material, financial records, and other stuff. When everyone gets access to such things, the data becomes less safe and less secure. So there should be a restriction on who will access what data and who will not. The internet connections and particularly WiFi should be made secure. Many employees at workplace share password with their visitors. This practice must be discouraged. Company internet should be accessible only the staff and employees. When so many people are connected to the same connection, they all are not really secure. So far we talked about the steps and tips for protecting company data. Now we will talk about some of the best apps and software that companies can use to further protect their data and improve security. 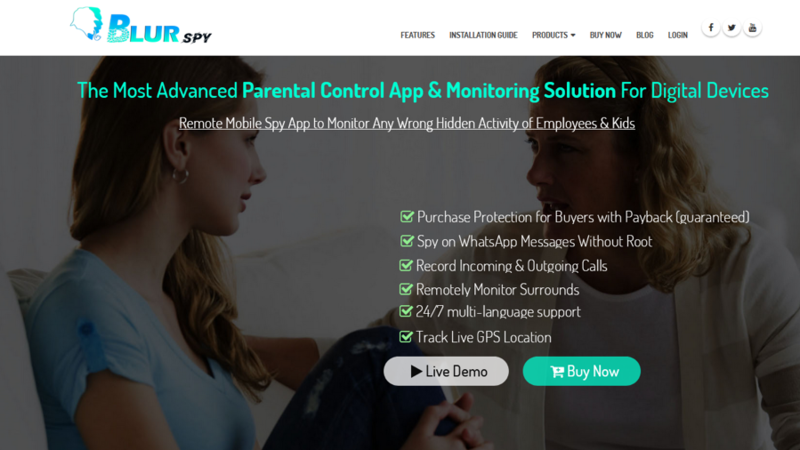 BlurSPY is one of the best cell phone spy app for companies. This is an employee monitoring and company security solution for companies around the world. It comes with a good number of features and can make employee tracking really easy. Why do you need to track your employees? We have talked about how employees can steal important data and destroy records. For this reason, employees should use this app. It is simple and easy to use. Your employees will never know you are watching them secretly because the app works in the background. All you need to do is to install the app on their phones. Once it is done, the app will start tracking the staff. You will have access to their messages, calls, internet history, social media, phone history, images, emails, and everything.